Landlords: Do You Want To Make Life Easier? RentApplication.com is the only service that allows you to easily find tenants, screen them and collect rent, automatically. Collect Rent and never have to worry about prorating again. We're offering a free trial, which includes free tenant lookups, a free rental website, and more. Try it todsy! One of the questions that we see asked a ton is “How Do I Calculate the Prorated Rent on My Unit”? What exactly is Prorated Rent? Prorated rent is how much you, the landlord, charge a tenant when the tenant is occupies the rental for a unit less that specific on the lease. The most common example is a tenant who starts a monthly or yearly lease in the middle of the month. Normally, you charge them for a whole month, but they won’t be living in the unit for a whole month at some point of the term. Since your daily rental rate is often significantly higher then your monthly rate, you need to prorate the apartment rental. Why do You Need to Prorate the Rent? Simple – it’s the honest, fair thing to do. It’s the best method for when tenants want to move in for odd lease durations, or need to get a 4.5 month lease or something similar. How Do You Prorate the Rent? 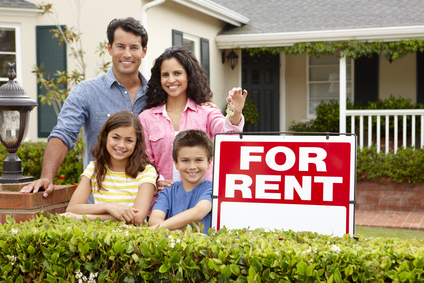 While popular in certain segments of the rental industry, it can be confusing to tenants. It’s technically the most accurate for a yearly lease, but can sometimes cause confusion and short change tenants during months with shorter days. This method is simpler, easier to calculate, and ultimately ends up being fairer to tenants. Notice how the monthly prorated came out to slightly less then the yearly prorated? The yearly prorated will be more on months with 31 days. The nice thing about the monthly pro-ration is it works extremely well for those who often rent month to month. And since your rents can be all over the place depending on demand, it makes sense to prorate based on the actual month the tenant is renting. Additionally, it’s dead simple. Your tenants will get it and you shouldn’t have that many problems or pushback from them. As always, check with your local government about specifics related to prorating the rent. In Los Angeles, for example, the courts have decided that a rental month is always 30 days for evictions, so use that for your prorating. Whatever method you decide to use to prorate, be consistent. Specify how you’re prorating in your lease, when you take the prorated rent (some Landlords will prorate a longer term lease on the second month to smooth out income and make sure you can pay the rent), and what method you’ve decided to use to prorate the rent. Once you’ve done that, stick to it! At the end of the day, prorating is not a difficult concept. Post in the comments if you have questions or opinions on how to prorate!